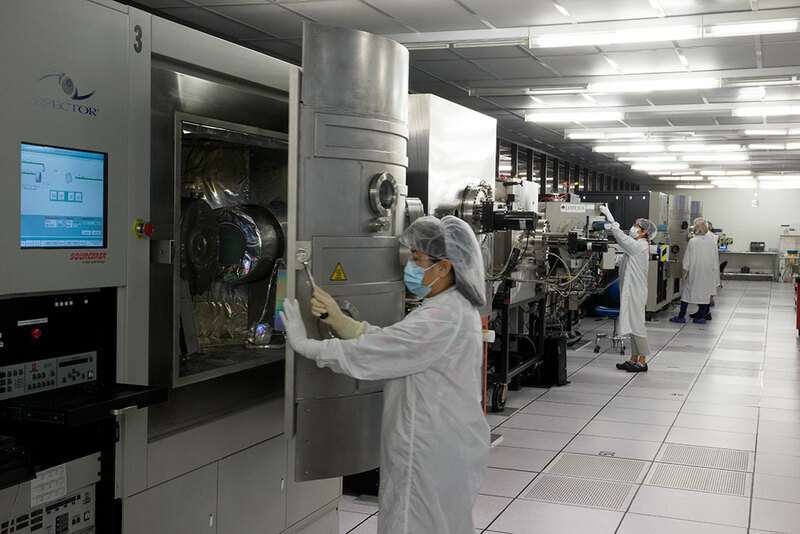 REO utilizes three coating process technologies to produce the highest quality thin films performing a range of functions across the full optical spectrum from the deep UV (190nm) through the long wave IR (14um). Expertise with Ion Beam Sputtering, Ion Assisted Deposition and Thermal Evaporation provide REO an extensive toolbox of available materials and processes suitable for most any application. With a total of 35 coating chambers in operation, REO’s ability to produce the highest performance, lowest loss, most durable thin films across the spectrum is unmatched in the world. REO pioneered the commercial use of Ion Beam Sputtering in the late 1980’s. With 22 IBS systems in operation today, REO is home to the world’s largest concentration of IBS optical coating technology. Our IBS technology produces thin films with exceptionally low scatter and absorption along with high mechanical durability and environmental stability. Utilizing primarily metal oxide materials, REO has developed the IBS process to produce films which function from the UV through the Mid IR (up to 6um). Particularly well suited for laser applications, REO's IBS films feature extremely low defect levels along with high laser damage resistance. Our high reflectors for pulsed laser applications at 1064nm may have virtually no defects over a central aperture of several square millimeters and laser damage resistance of up to 60 J/cm2 for 20ns pulse duration, or may be designed to withstand up to 10MW/cm2 for CW applications.